Russian president continues hawkish rhetoric, says new weapons 'significantly excel foreign designs and are simply unrivaled'. Russian President Vladimir Putin said that his country has been testing new weapons that "significantly excel foreign designs and are simply unrivaled". 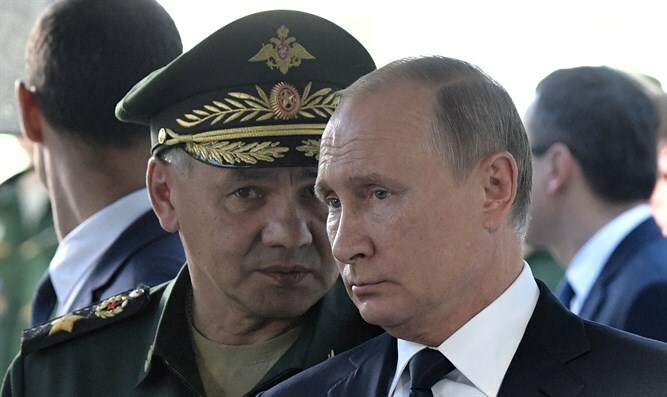 Speaking at a meeting of top Russian military and police generals, Putin added that "Russia doesn't threaten anyone, and has strictly adhered to its obligations in the sphere of international security and arms control". Russia has been developing increasingly advanced weapons, which many observers say are intended as a signal to the United States. In January, Putin revealed that Russia tested “a new intercontinental ballistic missile that can reach any point in the world." Last week, US President Donald Trump announced that he would be pulling out of the Intermediate-Range Nuclear Forces Treaty with Russia. "Russia has violated the agreement. They've been violating it for many years," Trump told reporters before boarding Air Force One to leave Nevada following a campaign rally, according to CNN.